GLASGOW, Scotland - July 10, 2018 - The second match of the three-game Atlantic Series between the U.S. Men's National Team and FIH Hero World Ranked No. 23 Scotland commenced Monday night at the Glasgow Hockey Centre. After an early morning practice that focused on outletting and offense, USA gained an early lead and they never relinquished in a 3-1 victory over the Blue Sticks. USA's sunrise training showed immediate results from the opening whistle. There were no careless mistakes and defense held solid through the first quarter, ending 0-0. For the first time on their Europe Summer Training Tour, USA opened up the scoring in the second quarter. Sean Cicchi (Thousand Oaks, Calif.) made a lead that got him behind Scotland's defense. Paul Singh (Simi Valley, Calif.) saw the long ball clearly, from just above the 25 yard line. The drive connected with with Cicchi who scored on a reverse shot, not giving Scotland's goalkeeper a chance to react, to give the red, white and blue the 1-0 lead in the 19th minute. Five minutes later, the Blue Sticks countered and scored off a penalty corner where Timothy Atkins made the drag flick to the inside post, tying the game. Just before halftime, USA regained the lead as Singh saw a lane open up to give Johnny Orozco (Ventura, Calif.) the perfect chance to deflect the ball into the goal making it 2-1 to USA at the break. The third quarter was a tough battle as Scotland tried to put the pressure on and tie the game. USA's defense was firm all quarter despite numerous threats by the Blue Sticks. Back the other way in the 39th minute, Aki Kaeppeler (Stuttgart, Germany) broke down a play, eliminated an attacker and drove the ball directly into the circle on a lead made by Alex Grassi (Brookville, Md.). Grassi trapped it under pressure from his defender, made the turn and got the shot off toward the far post, where Pat Harris (Moorpark, Calif.) was waiting to deflect it into the goal to take a commanding 3-1 advantage. The fourth quarter was full on assault by Scotland, which was neutralized by USA's defensive structure allowing the team their first win of their European trip. With the series tied at 1-1, the U.S. Men's National Team returns for the final game of the Atlantic Series Wednesday at 9:00 a.m. Forget the football (only joking – come on England!! ), the UK’s 2018 World Cup is less than two weeks away – the Vitality Hockey Women’s World Cup starts on 21 July. The opening weekend is set to be a brilliant spectacle featuring all of the World’s top teams. It’s an appropriate start to the best-selling women’s sports event ever in this country. Session one on Saturday 21 July sees England begin their quest for a medal against India. This match sold out in the 2017 World Cup ballot but we are seeing occasional hand-backs or seats freed up as the stadium build is finished, so the eagle-eyed might still be able to get tickets. Session two features the Australia – historically one of the best teams in the World and in the hunt to win the tournament – as well as USA and Ireland – and their loyal fans will certainly create a brilliant atmosphere and a perfect way to spend a Saturday night. Sunday sees Argentina begin their campaign in session one – your chance to see a team who’ve consistently won medals at the highest level in recent years. They were runners up at the 2012 Olympics and are the number 3 side in the world. It’s a bumper second session on Sunday with reigning World Cup Champions and number one team in the World the Netherlands playing, as well as New Zealand – currently the fourth best team in the World. The Netherlands were the 2012 Olympic Champions, they won the Hockey World Cup on their home turf in 2014, and were runners up to Team GB in 2016 in that memorable Final. Granatto, the young world player of the year, will be one of 10 Argentinian debutants at the Vitality Women’s Hockey World Cup after competing in two Junior World Cups. Eight of her team-mates won the 2016 Junior World Cup and will now be making their entrance in London. This is certainly a young, talented team – the 2010 champions – which will aim to medal once again in the sport’s showpiece. The Lionesses left for Germany on Monday where they will play the hosts, Holland and New Zealand in a Four Nations tournament before their World Cup opener on July 22 against Spain. The 23-year-old’s form over the last 12 months warranted the FIH prize in Berlin, as well as a contract with Eindhoven’s Oranje-Rood for next season. “Today the team grew a lot, working with our psychologist Nelly (Giscafre), which helps us in communication and other aspects. In this week's Coaches Corner we speak to the Head Coach of Argentina, Agustin Corradini, who believes his team has what it takes to win their third World cup gold medal. A seventh place finish at the Rio 2016 Olympics has galvanised Argentina’s new look squad and they are heading to the Vitality Hockey Women’s World Cup London 2018 with huge ambitions. Argentina has a World Cup history to be proud of. They took silver in 1974 and 1978 before a lean spell in the 1980s. However, the subsequent years have seen Las Leonas finish no lower than fourth (Utrecht 1998); with a silver in 1994; two bronze medals in 2006 and 2014; and a glorious brace of gold medals in 2002 and 2010. "We are a talented and hard working team and I know the players will contest every match right to the final whistle"
Agustin Corradini, Head Coach Argentina. Former Argentina international Corradini is relatively new to the role of Head Coach – he took charge in May 2017 – but he has been a member of the coaching staff under both Carlos Retegui and Gabriel Minadeo. He also led the Argentina Under-21 side to the 2016 Junior World Cup in Santiago and his team selection reflects both the young players he has worked with in the junior set-up and the experienced players he knows he needs to stabilise the talented but mercurial team. Argentina’s preparations have included intense training camps back home in Buenos Aires and they will consolidate this with a series of test matches against Germany just prior to their arrival in London. One thing that Corradini has impressed upon his players is the need for the entire squad to step up and take responsibility. In the past, Las Leonas have enjoyed the presence of some huge personalities on the pitch – Luciana Aymar and Carla Rebecchi are two players who come instantly to mind. With the new squad it is all about the team. Argentina, who are currently ranked at number three in the FIH Hero Hockey World Rankings, are competing in Pool C, alongside Germany (WR:6), South Africa (WR:14) and Spain (WR:11). Their opening match is on 22 July against Spain. The Hockeyroos will fly out of Australia on Wednesday destined for London ahead of the 2018 FIH Women’s World Cup to be played from 21 July – 5 August. Australia finished runners-up at the last World Cup in 2014, losing 2-0 in the final to the Netherlands in The Hague. The Dutch remain the team to beat four years on with England (second) and Argentina (third) at the top of the rankings too, while the Hockeyroos have experienced major personnel and style changes and are now fifth in the world. Despite that coach Paul Gaudoin is bullish about the side’s prospects having taken over in late 2016 following the Rio Olympics disappointment. 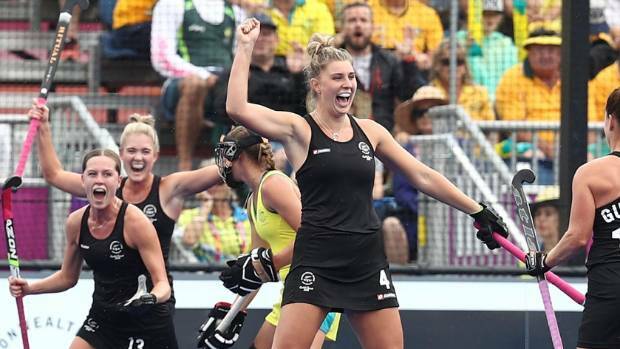 Australia are grouped with New Zealand (fourth), Belgium (13th) and Japan (12th) in Pool D.
The Black Sticks defeated the Hockeyroos for Commonwealth Games gold in April but Australia hit back by winning the Tri Nations in May, involving both New Zealand and Japan in a positive sign. The Hockeyroos will touch down in London on Thursday and will play practice games against India on Monday (6pm local time) and Great Britain on Wednesday (2:30pm local time) at the Lee Valley Hockey and Tennis Centre. “We want to get a good feel for the turf and the atmosphere,” Gaudoin said, speaking about the value of the practice games. “The World Cup is a unique experience. It’s going to be a great opportunity. “Those first few games are about getting used to playing in that environment. “We also get to play against an Asian team in India and there’s some similarities in New Zealand and even Belgium in the way they play. Australia’s first World Cup match is against Japan on Sunday 22 July from 5am AEST live on FOX SPORTS. All of the Hockeyroos’ World Cup matches will be televised live on FOX SPORTS, with updates on @Hockeyroos on Twitter and @HockeyroosOfficial on Instagram. The last time the Black Sticks women went to the Hockey World Cup, Olivia Merry had 40 caps to her name. When they arrive in London for this year's World Cup later this month, the Canterbury forward will have hit 200, provided she features twice during their Four Nations warm-up event in Germany. "It's come around really quickly," said Merry, 26, before the team winged their way to Europe. "You never play for the milestones, they're an added bonus, but it's very, very special - the 200th time of pulling on the black shirt is just as special as the first. "For me, personally, I treasure every minute I get out there. I can't believe how quickly it's come around." The Black Sticks are ranked fourth in the world heading into the quadrennial event, where they will be looking to build on their gold-medal effort at the Commonwealth Games on the Gold Coast in April, as well as their second-place finish at the World League final in Auckland last November. Merry has scored 77 goals in 198 appearances since making her debut in 2012, including the winner as the Black Sticks beat England in the semifinals at the World League final, and the third as they beat Australia 4-1 to win gold three months ago. 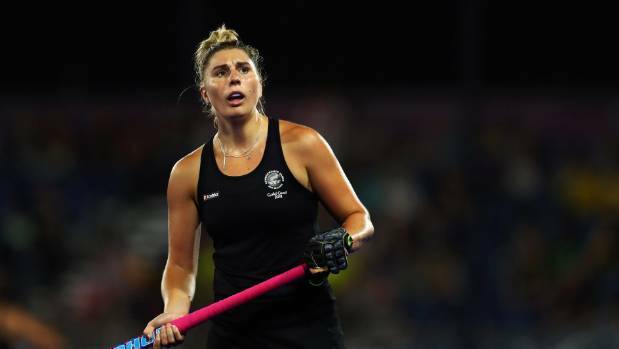 Being able to draw on recent success stands her and the rest of the Black Sticks in good stead heading into the World Cup, where they face Australia, Belgium, and Japan in pool play, and are looking to win a medal for the first time. "We did have some good form earlier in the year, and we've been working hard the last six weeks to maintain that form going forward," Merry said. "There's a bit of excitement in the group, and having the team carrying on from that Commonwealth Games success, we've been able to build relationships between players." Merry said the team didn't get long to bask in the glory of their triumph on the Gold Coast. "We were back to training five days after our success, so it was awesome and we did celebrate it a bit, but we were quickly back to business. "The World Cup is the second-most important event for us as Black Sticks players [behind the Olympics]. The Comm Games is cool, and the whole of New Zealand gets behind it, but for us the World Cup is every four years, and we've never won a medal at one, so that's definitely what we're hoping for." 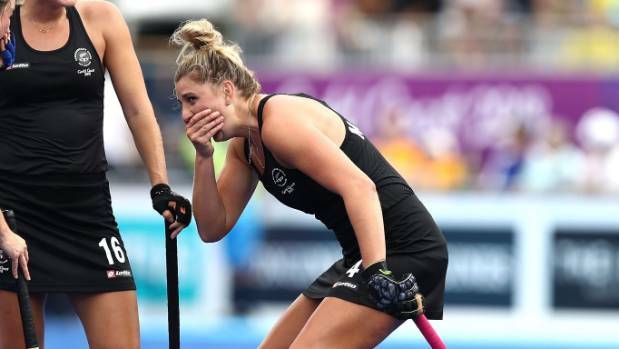 Black Sticks coach Mark Hager said it was exciting to see Merry reach 200 caps and join nine others in an exclusive club. "It means you're a longevity player. Anyone that can play six years, seven years, eight years, 10 years, it's a testament to their character and their ability to push through the pain. "The ability to keep yourself going and motivated, I think that's the hardest thing over that time, and not becoming complacent. "Liv's been one of those athletes, she's worked hard for everything she's achieved. She's had some flat spots in her career, but hopefully we're starting to see her bounce out of that, and she's starting to go forward again. "Liv for us is a real good goalscorer, not just on set pieces, but field goals as well, so she's a real asset to the group." All going to plan, Merry should hit 200 on Friday [NZ time], when the Black Sticks play hosts Germany in the second of three matches at the Four Nations tournament. That tournament begins early on Thursday when they play the Netherlands, with a match against Argentina to follow on Saturday, ahead of the start of their World Cup campaign on July 23. Stacey Michelsen (c), Madison Doar, Ella Gunson, Brooke Neal (Northland) Sam Harrison, Grace O'Hanlon, Liz Thompson, Lulu Tuilotolava (Auckland), Sam Charlton, Tarryn Davey, Frances Davis, Shiloh Gloyn, Rose Keddell, Amy Robinson, Sally Rutherford (Midlands), Anita McLaren, Kelsey Smith (Capital), Olivia Merry (Canterbury). 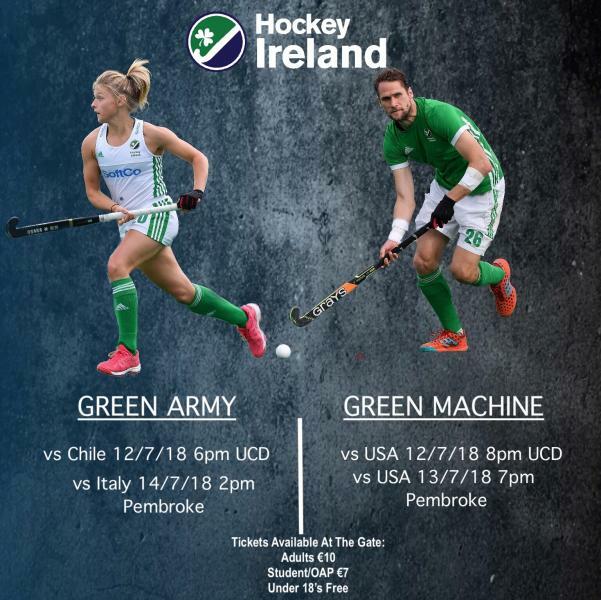 Both the Green Army and Green Machine have home internationals in Dublin this week, with 2 matches taking place at UCD and 2 at Pembroke Wanderers. Green Army Head Coach, Graham Shaw, has announced Emily Beatty and Naomi Carroll has his 2 reserves for the World Cup and his squad will compete as a group of 20 over the course of the two fixtures. Green Machine assistant coaches Jonny Caren, John Bessel and Kai de Jager have opted for a highly experienced squad to take on the up and coming USA in their 2-match series. The series also marks a return for Peter Chadwick who will take up the role of Manager with the team. The women face Chile as part of a three-nations tournament at 6pm before the men take on USA at 8pm in ties originally scheduled to be played at Rathdown. However, watering issues this week at the venue led to the switch to the former national hockey stadium. Full refurbishments are set to be carried out at Belfield before the club season with UCD taking on the replacement costs without the support of Hockey Ireland with whom they joint-funded the last surface. The pitch lost its certificate for international matches in 2013 with a deadlock finally broken this summer over how best to replace it. For the Irish women, the series will hopefully see the return of Megan Frazer to action after two years of injury travails. Coach Graham Shaw is hopeful she can test her knee against Chile on Thursday and then play an increased role on Saturday against Italy at Serpentine Avenue. Shaw is also waiting on the fitness of Roisin Upton who has missed the last four test matches with a hamstring strain with the World Cup now just 10 days away. Because of those concerns, Shaw has retained reserves Emily Beatty and Naomi Carroll for this series. The coach has released Sarah Torrans to join up with the Under-23s who are Antwerp-bound for a ‘mini World Cup’ with five other development panels which gets underway on Saturday. For the men, the interim coaching group of John Bessell, Kai de Jager and Jonny Caren take charge of the panel for the first time since Craig Fulton moved to Belgium. They have made a number of changes for their two game series with USA. David Fitzgerald, Stephen Cole, Luke Madeley and Sam O’Connor return to the line-up while David and Conor Harte, Chris Cargo, John Jackson, Matthew Bell, Peter Caruth, Neal Glassey and Julan Dale step out. Their first tie is at 8pm at Belfield before facing the same opposition on Friday at 7pm in Pembroke. The Irish women’s second game of their competition will be played on Saturday at Pembroke at 2pm. Elsewhere, Jonny Caren has finalised an Irish Under-23 selection for their development tournament in Antwerp which gets under way on Saturday and features India, the Netherlands, Belgium and Great Britain. Speaking about the squad and tournament, Caren said “This is another fantastic opportunity for us to develop our Under-21 players in a non-major competition year, with high caliber opposition in both European and Asian teams. “With us missing four players to the senior programme as they compete for their spot in the World Cup squad, it enables us to look at players in a high pressure tournament environment that we maybe wouldn’t have been able to before. Scottish Hockey is delighted to announce that Jen Wilson has been appointed as the Head Coach of Scotland women on a three-year contract. The triple Olympian will begin in post on 1 August, kick-starting an exciting new era for women’s international hockey in Scotland. 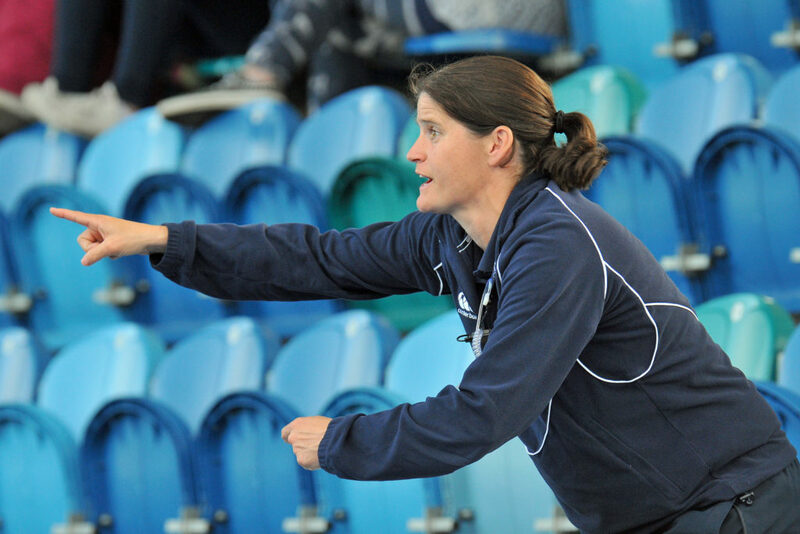 Jen Wilson said, “It is a real honour to be appointed as the Head Coach of the Scotland women’s team. “I have always been incredibly impressed with the passion these girls play with and their desire to continually make improvements in their game. I’m looking forward to working with the players, the support team, and the hockey community in Scotland. Wilson has had a strong and varied coaching career to date, including spells as an assistant coach with Scotland in 2015, 2016 and 2017, in addition to high level domestic experience in England in both the men’s and women’s game. The South African had five seasons in charge of Ashford men’s 1st XI in the Kent/Sussex and South Premier League. Wilson also led Canterbury women to top spot and two second-placed finishes in the Investec National Premier Division as well as two successful campaigns in the EuroHockey Champions Cup. As an international player Wilson represented South Africa achieved great success, including appearances at three Olympic Games (Athens 2004, Beijing 2008, London 2012), three World Cups (Australia 2002, Spain 2006, Argentina 2010) and three Commonwealth Games (Manchester 2002, Melbourne 2006, Delhi 2010). At the 2004 Games in Athens, she finished tournament top scorer. In an exceptional international career Wilson scored 65 goals in 180 appearances for South Africa. Jen will be contracted on a part-time basis, which will align directly with key preparation and competition phases in the international calendar, as well as regular training camps. “We are delighted to have a coach of Jen’s ability and potential on board. She has exactly the profile and philosophy we are looking for, with a great mix of skill, experience and ambition. We are looking forward to working with her to deliver transformational change to our senior women’s programme. 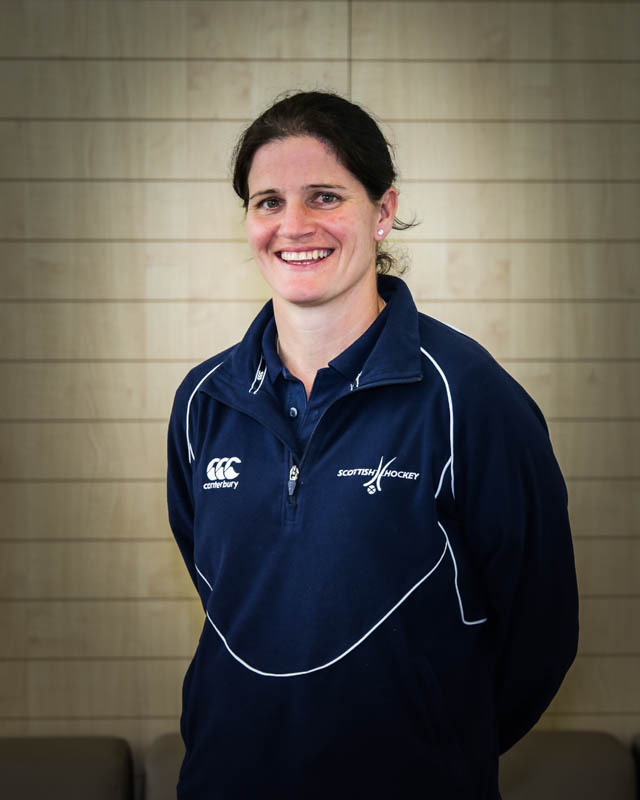 “We look forward to welcoming Jen on the 1st of August when she will commence the role, in what is an exciting new era for Scottish women’s Hockey. The prospect of leading a growing International Federation into its next phase was enough to draw Thierry Weil’s attention to the position of CEO of the International Hockey Federation (FIH), but it was the enticing three word phrase, “FIH Pro League”, that sealed the deal. “Someone sent me through details of the FIH Pro League and it captured my imagination,” says Weil during his first interviews as the new CEO. As a former FIFA employee, Weil is used to dealing with sport on a global scale, but the size of this challenge – to fit all 152 games into a six-month calendar, is as tough as it gets. Three of the qualities that Weil brings to the role are clear thinking, good decision-making and an open mind. He needed all three as he got to grips with the proposals in the early stages. Even for a Federation that has a ‘Revolution’ as its strategy, this was ground-breaking stuff. Despite the excitement surrounding the FIH Pro League, Weil has not lost sight of the other roles central to the FIH. While the World Cup and Olympics are pinnacle events, the Hockey Series is extremely important to the growth and development of the game across the globe. Weil sees the knock-on impact of the Hockey Series as increased sustainability and development of the game globally. As more nations see the opportunities presented by the Hockey Series, including Olympic qualification and world ranking points, more nations will sign up to take part. This, in turn, will lead to more opportunities for players, coaches and officials. The increased involvement of commercial and broadcast partners will also lead to more social responsibility programmes around the world. “There are challenges ahead,” says Weil. “Aside from the logistics of initiating a global home and away league, there are all the other opportunities that are presenting themselves at all levels of the game. This means it is difficult to set priorities or take the time to evaluate the steps we need to take. Real Club de Polo de Barcelona and Carlos García Cuenca have reached a renewal agreement for a seventh and final season in charge of the first team. García Cuenca previously worked in the lower leagues as head coach of Pedralbes DHB, the affiliate club of Polo, before taking on the role in August 2012. In his first season, he completed a perfect debut in which the first team won all the competitions, the Honor Division, the Copa del Rey, the regular season title and Campionat de Catalunya. Since then, they have become the benchmark in Spain, reaching the KO8 of the EHL in four of the last five seasons. During his tenure, they have won five regular season titles, four Honor Divisions, four Copa del Reys and three Campionats de Catalunya. It makes it one of the most successful periods in the club’s history and the club they can finish off his spell in charge of the club on a high note. This is the only non-tertiary club tournament in the history of South African hockey to offer the largest prize money to the winning team. DURBAN is gearing up for this year’s annual Belgotex Elite Club Challenge that will be hosted at the Riverside Sports Centre in Durban North from Thursday, 12 July to Saturday, 14 July. This is the only non-tertiary club tournament in the history of South African hockey to offer the largest prize money to the winning team. The total prize money being handed over to the men’s and ladies’ winning teams is R40 000 split proportionally between the men’s and ladies division courtesy of Belgotex Sport who are the proud sponsors of this tournament. Not only will there be top class hockey played by senior teams over the three days, but this will also be the first year to provide young up and coming players the chance to show off their skills in between the main matches with the Elite 5’s Challenge being launched at the tournament. Girls and boys aged from U11 to U13 are able to register and play and will form part of this hugely popular sporting spectacle that also offers the very best in food, music and all-round entertainment right on Durban’s doorstep. Riverside Hockey Club’s first team coach and the current SA Men’s hockey coach, Mark Hopkins said it was a great event to be a part of. “Our first teams look forward to every year. The quality of hockey played and at such fantastic facilities makes this a highlight in our hockey calendar. We have seen the level of hockey improve year upon year and that’s why initiatives like these are so important to grow and develop our country’s talent from grass roots level,” he said. SA Boys Team – Taine Bird, Suubi Sekawabe, Andre Bradford, Jared Campbell, Mpumelelo Maphumulo, Luke Wynford, Idrees Abdulla, Teven Petersen, Cody Posthumus, Peter Jarvis, Angelo Walstroom, Marvin Simons, Matt Dewar (c), Ivann van der Merwe, Joshua Findlay, Steven Conway, Niel Raath & Sihle Ngcongo Tonight will be the second match of the series with the boy’s game at 17:45 and the girls at 19:30. It was a far more conservative game to start when the girl’s sides played in the later game and took a full 29 minutes before the opening goal of the game when Kayla de Waal capitalised for the South Africans on the profligacy of the Australians. It was a brilliant finish by de Waal to give the South Africans the lead. Tonight will be the final match of the series with the boy’s game at 18:40 and the girls at 17:00.